This tutorial is for the Galaxy Tab 10.1 users who have lost the warranty of their device for running cutom builds and wish to go back to the original stock/official firmware. This device has first come up with the Android ICS and was upgraded to Android 4.1.2 later. You can go through our step by step guide to unroot the device. 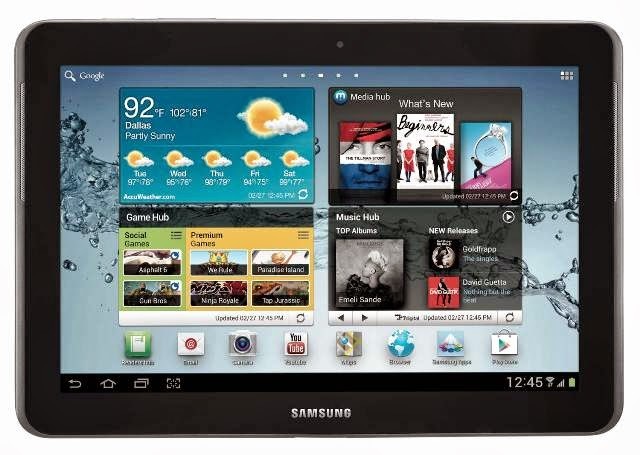 Step 1: Download Android Official Firmware for Galaxy Tab 10.1 from the list according to your region and Odin 3.07 in your computer. Step 2: Extract Firmware zip file at a convenient location in your desktop; you should get a .tar.md5 file and some other files (optional). Step 3: Now extract Odin zip file and you will get Odin3 v3.07.exe as well as few other files. Step 4: Now turn off your phone and wait 5-6 seconds for vibration to confirm complete switch off. Then put your Galaxy Tab 10.1 in Download Mode by pressing and holding Volume Down + Home + Power button together until you see a construction Android robot in phone screen. Press Volume Up button again to enter into Download Mode. Step 6: Now it’s time to connect your Galaxy Tab 10.1 with your PC using USB cable. Do it and you will see a message under Odin’s message box in the bottom left saying “Added! !” If you don’t get it then you should try another USB port (try USB port located in back of your desktop PC cabinet). However, if this still can’t solve your issue then you should reinstall USB driver for your device. Nevertheless, if you successfully see the “Added! !” message in Odin then you are ready to go in next step. You should also see COM port with a number in Yellow if you successfully added your device. Step 8: In Odin window, make sure Auto Reboot and F. Reset Time checkboxes are only two that are selected. Also, make sure that Re-Partition checkbox is selected, only when you added a .pit file (see Step 7.4) in ODIN. Step 10: Once installation is done, your phone will reboot automatically and soon you will see a PASS message with green background in the left-most box at the very top of the Odin. You can then safely unplug the USB cable to disconnect your device from computer.